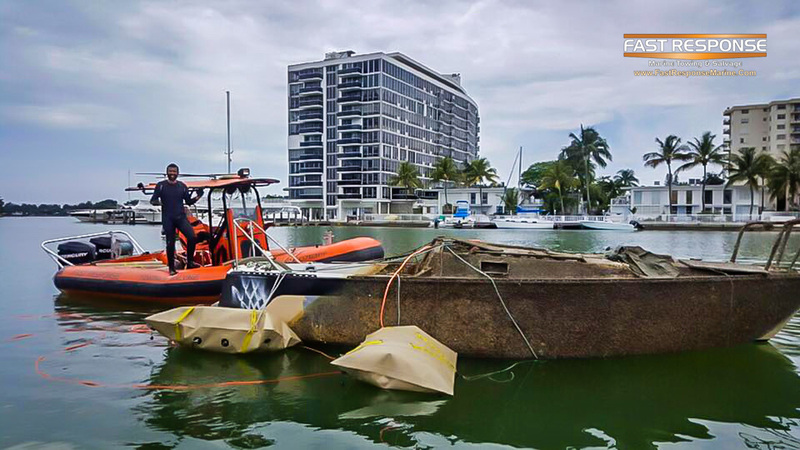 Local authorities tried for more than 30 days to locate the owner of this sailboat that sank at anchor. Unfortunately, it became a hazard to navigation, so the city called on Fast Response to deal with it. 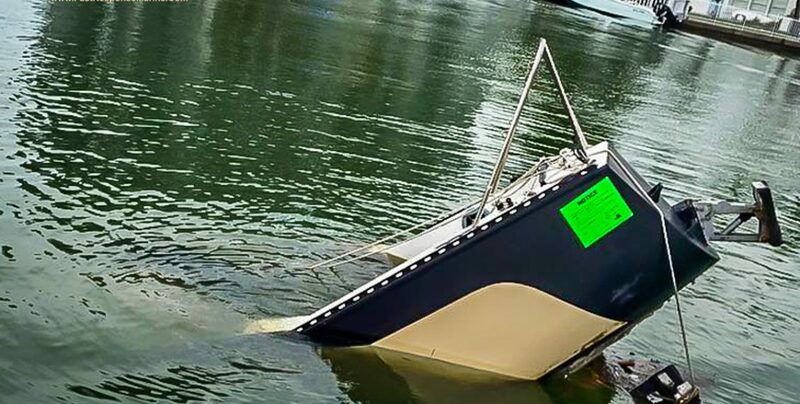 The vessel’s bow was resting on the bottom in about 20 feet of water when Fast Response arrived. 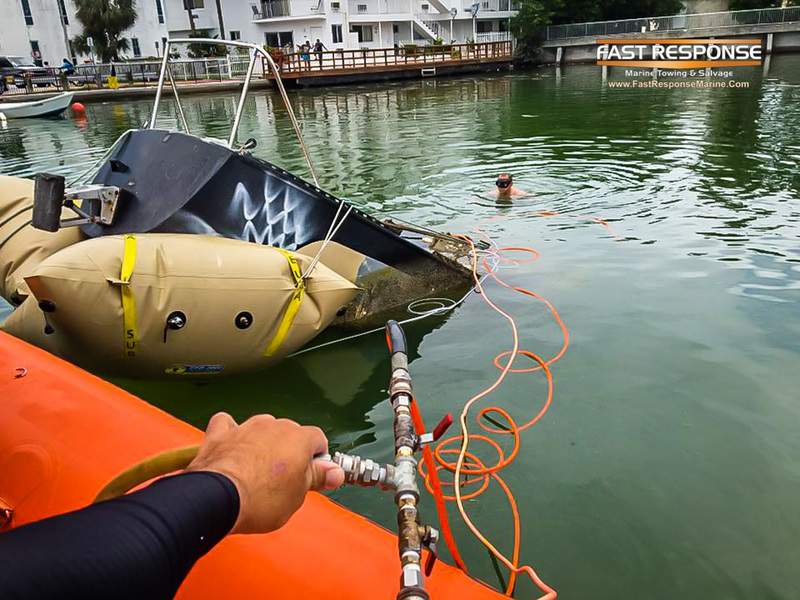 Air bags were deployed, and the barnacle-encrusted hull quickly rose to the surface. 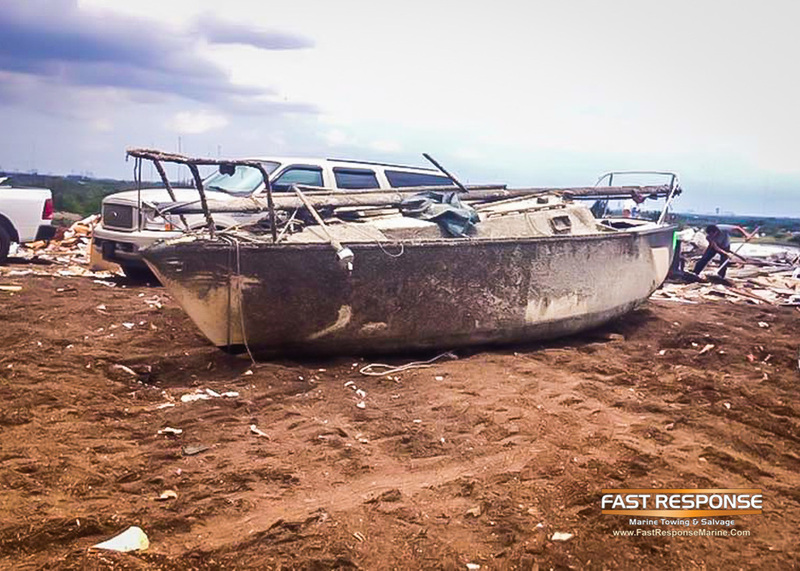 The boat was demolished at the dump.